Do you want to speak to members of Joint Finance committee about what you feel needs to be included in the state budget concerning criminal justice reform, transportation, environmental justice or other budgetary concerns? 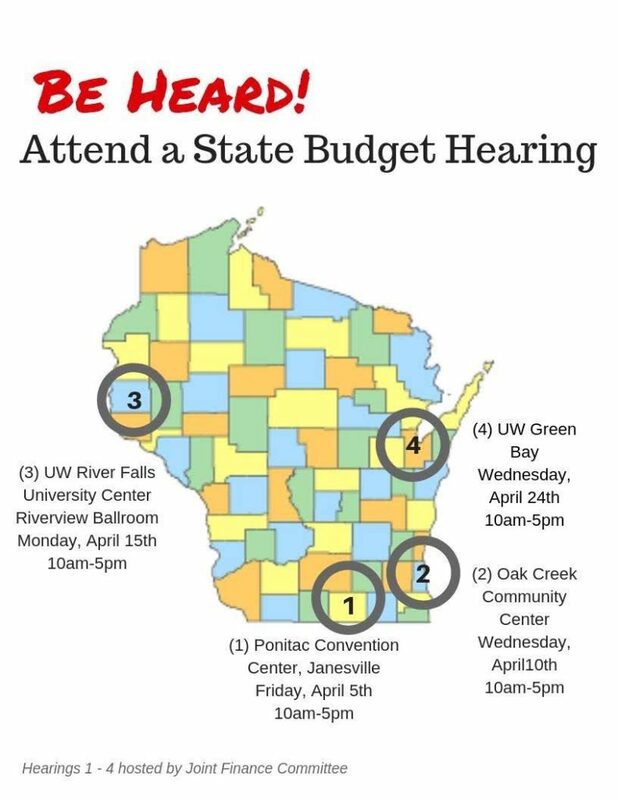 JOSHUA is organizing a delegation to attend the hearing at UW-Green Bay on April 24 from 10 am to 5 pm. If you’d like to attend or participate, please sign up here, and someone will contact you to follow up. If you’d rather attend on your own, do know that you have the opportunity to weigh in on any or all of the items in the budget by speaking at one of the public hearings, submitting written testimony…or both. If possible, attend the public hearing. The day will be long, but interesting. Get there before 10:00 a.m., especially if you plan to speak, and sign in at the check-in table. Or come after your work day when the line is shorter. It is customary for two minutes to be allowed for oral testimony. Write your testimony down. Time it. Practice it. Make your two minutes count! Speaking directly to legislators is more powerful than having a staffer read your written testimony. But, do leave a copy that includes your name, address and phone number at the check-in table. Even if you don’t speak, be there to support others.